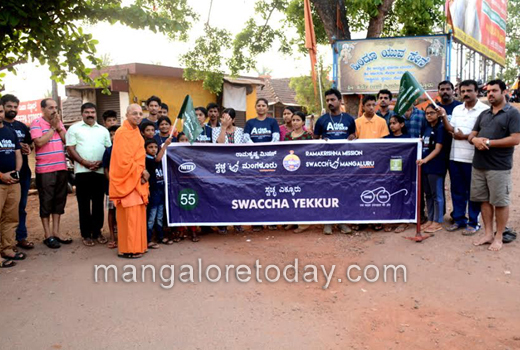 230 Yekkur – The team members of Swach Yekkur carried out cleanliness drive in Yekkur area. Swami JItakamanandaji, Bharath Shetty jointly flagged off the drive. Drive was carried out around Chamundeshwari katte. Boards carrying the message of awareness about cleanliness have been written. 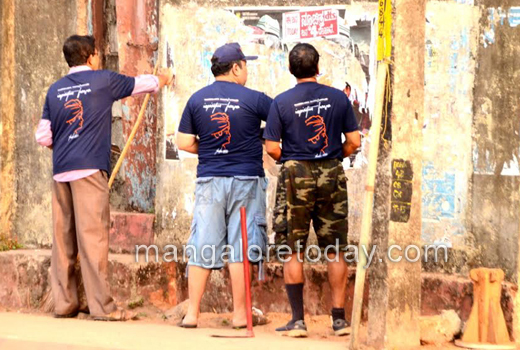 Members of Hindu Yuva Sene, Ayyappa Bhajana Mandira & Nandadeepa Bhajana Mandir participated in the drive. Jayalatha, Monisha and more than about 100 people took part in the drive. 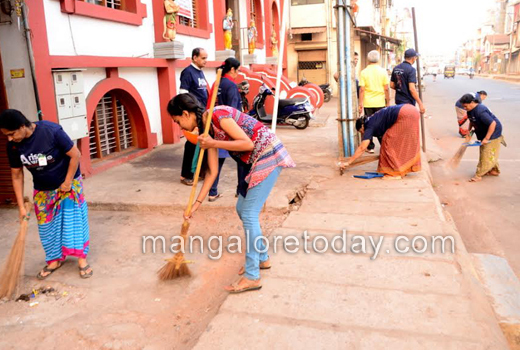 231 Attavara – The devotees of Sri Chakrapani Temple took up the cleanliness work from Chakrapani temple to Attavara katte. Jayakumara, Devadas Kottari flagged off the drive. Members of Sri Patanjalai Yoga Shikshana Samiti, N V Friends, students of Sarojini Madhusudan Kushe school participated in the drive. Sri M S Kotian, Sri Prathim Kumar, Sri Anil Nayak & several others participated in the drive. 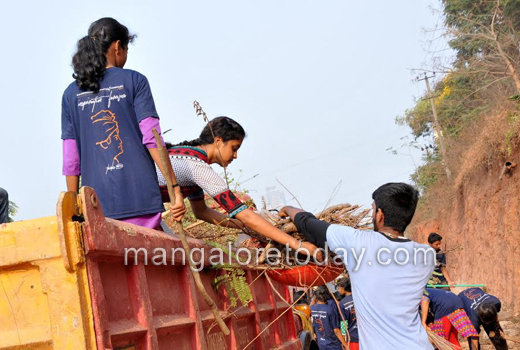 232 Valacchil – The students of Srinivasa Engineering College & local residents of Valacchil cleaned the highway and adjoining areas in that region. 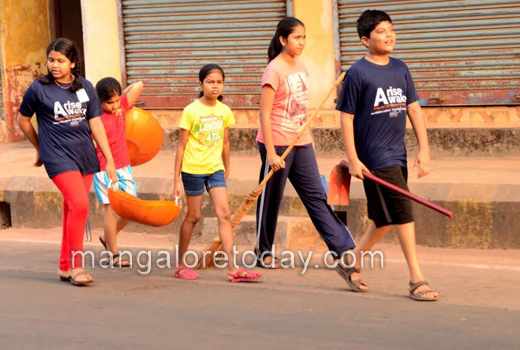 Chief Coordinator of Swacch Mangaluru Abhiyan, Dilraj Alva, Prof. Harshavradhan Hegde flagged off the drive. Two bus shelters in the Valacchil junction region were cleaned along with auto shelter. 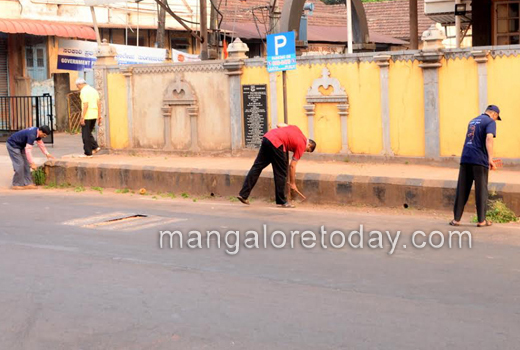 Road dividers were also cleaned. Many students took an active part in the drive. 233 Bolar – The Members of Sri Amba Maheshwari Bhajana Mandira carried out the drive in Bolar, Mulihithlu area. Lokayya Shetty, Ajay Alva flagged off the drive. The drains adjoin the roads were cleaned and heavy logs of wood lying in the footpath for long removed. Members also visited door to door and distributed awareness literature in the area. Direction board that was worn out was repainted. Umanath Kotekar guided the volunteers. 234 Malemar – Drive was carried out in Bharati Green Park road in Malemar. Vijay Kumar Shetty, Rathnakar flagged off the drive. The drains in the area were cleared. Worn out banners and flex were removed. Vinyas, Hariprasad and several others participated in the drive. 235 KPT – Students of KPT carried out the drive in front of KPT and adjoining areas of the Highway. Lecturer Suraj P H initiated the drive. NSS students of KPT cleaned the areas adjoining the highway, circle, footpaths on the airport road. Ankush and Ganesh coordinated the volunteers. 236 Ganeshpura – Local members of JCI under the guidance of Dr Sampath Kumar took up the drive in Ganeshpura area. Chiranjeevilu, Raghuram Tantri flagged off the drive. The precincts of post office, main roads were cleaned. Members of Kesari Friends, Navodaya Youth forum, Asare, Chintana teams actively participated in the drive. Sreesha Karmaran, Dahrmendra, Harish Naik, and many took an active part in the drive. 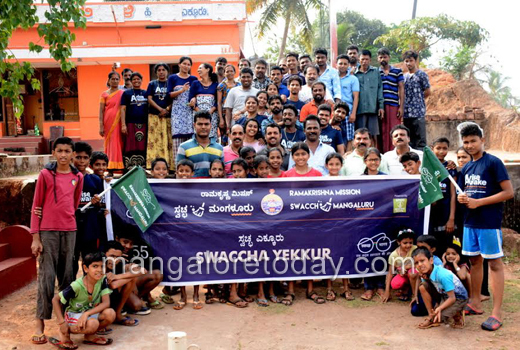 237 Shivabagh – The members of Team Swacch Shivabagh carried out the drive in Shivabagh area. Dr. Malini Hebbar and Vinutha flagged it off. Sheela Jayaprakash and Kala Deepak coordinated the drive. 238 Car Street – The devotees of Sri Gokarna Mutt carried out the drive from Ashwatha Katte of Car street to Flower Market. S P Acharya and Damodar Bhat flagged off the drive. They also removed the posters stuck on the walls. Kamalaksha Pai coordinated the drive. 239 Capitanio – The team members of Swacch Garodi carried out the cleanliness work around Capitanio Government school. Harish Achar and Ritesh Naguri flagged off the drive. The campus of the school and surrounding area were cleaned. Prakash Garodi, Sandeep Garodi coordinated the drive. 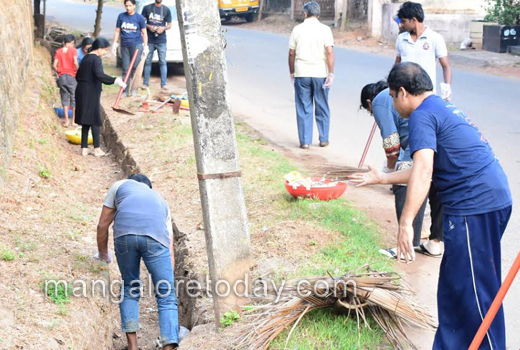 MRPL is patronizing this 3 rd phase of Swacch Mangaluru Abhiyan.